As we expected, yesterday the market wasn’t very active because of the holiday in the USA. 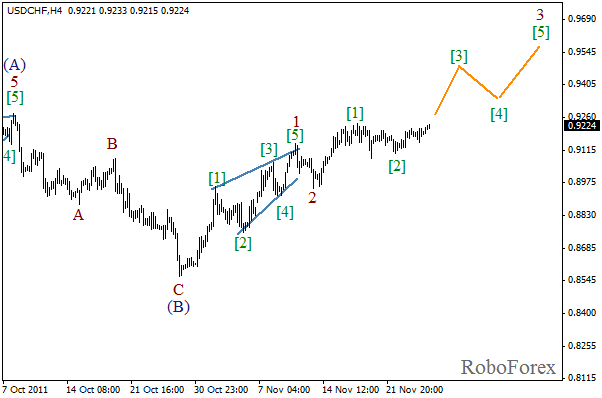 It looks like the price is forming the third wave inside wave 3. In the near term, the price may continue moving upwards. Most likely, the bulls will reach the level of 0.9400 in the future. 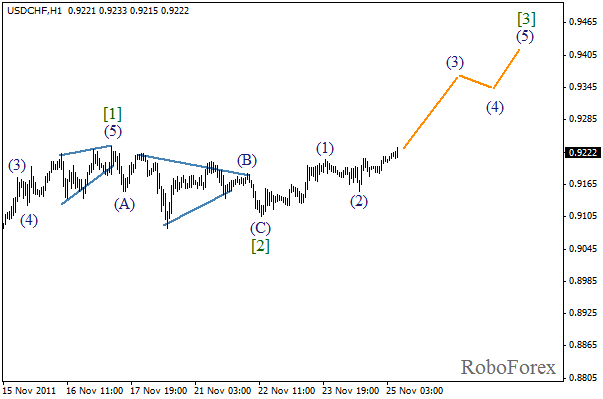 At the H1 chart the price is starting a rising wave (3) of , which is now in the very beginning of the formation. The forecast of the price movement is shown on the chart. There is a possibility that the market may reach a new local maximum during Friday. European currency continues falling down steadily. We may assume that the market is in the middle of wave (3) of [C]. In the near term, we can expect the pair to continue moving downwards. 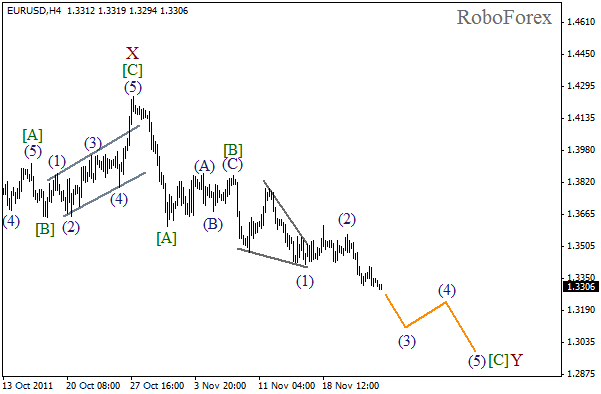 The bears may reach the level of 1.3100 within the next several days. 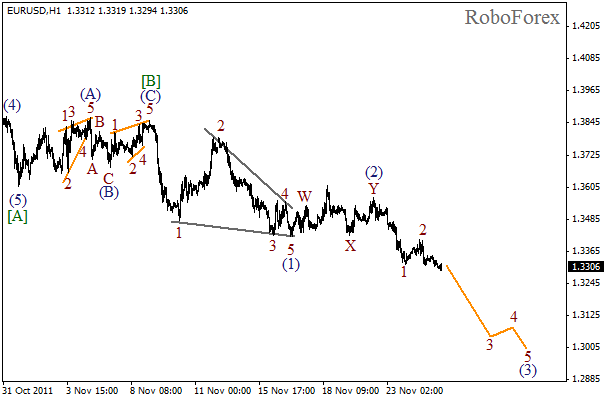 At the H1 chart the price completed wave (2) in the form of double three pattern and then started falling down inside wave (3). On the minor wave level we can see the formation of the third wave. The forecast for the next several days is still negative.